Posted on October 30, 2017 at 3:04 pm. hybrid 3D manufacturing methods to enable flexible first time right production of smart systems for lighting and automotive products. 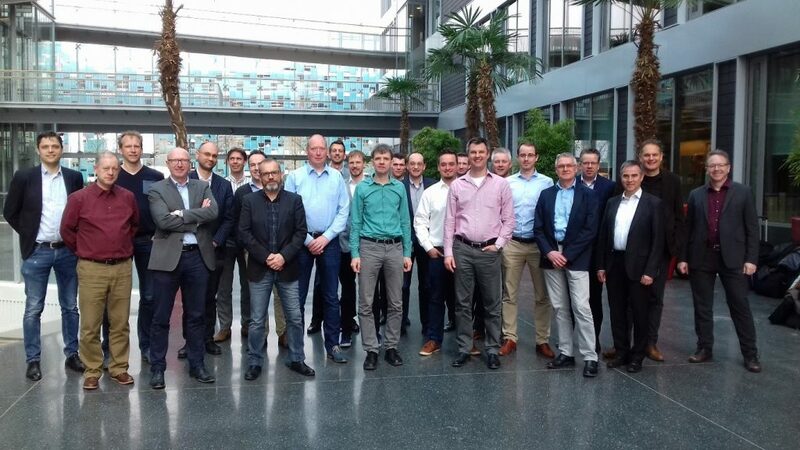 Together with 11 partners from Germany and the Netherlands we will develop and integrate technologies for additive manufacturing, 3D electrical structures, 3D assembly and interconnect. First time right production will be achieved by creating design rules based on understanding of product-process relationships and by developing in-line testing and quality monitoring as integral part of the complete production chain. In parallel we will develop two innovative product cases covering different applications and sectors (LED luminaires, automotive adaptive sensors) to demonstrate the hybrid 3D manufacturing approach. The resulting manufacturing process is highly flexible through the removal of product specific tooling, no large stock of parts or products, local production and form freedom in production. This results in substantial business benefits, such as: faster response to changes in the market, cost effective manufacturing of small series and customer centric solutions, and new product designs offering improved functionality and new form factors. The project duration is 3 years, with a total effort of 56 person years from 10 partners: Philips Lighting, Bosch, Fraunhofer IFAM, Reden, VSL, Henkel, Technolution, Neotech, Xenon and AMSYSTEMS Center (joint center of TNO and TU/e High Tech Systems Center). For more information, please contact Wijnand Germs (wijnand.germs@tno.nl) or Joris Remmers (J.J.C.Remmers@tue.nl).